Gaius Marius, born of an obscure family near Arpinum, in BC 157. Marius distinguished himself in BC 134 for valor at the siege of Numantia in Spain. In many ways Marius’ spectacular career was to provide a model for the great warlords of the last decades of the Republic. He was born in Cereatae into a family of the domi nobiles, that is, part of the local aristocracy that had considerable influence and power in nearby Arpinum (Arpino), a small, central Italian hill-town a three-day journey from Rome. The inhabitants of Arpinum had achieved full Roman citizenship only thirty-one years before Marius’ birth. In 107 BC, just shy of his 50th birthday, Marius became consul for the first time; in all, he was to hold the position seven times, more than any man before. It was not simply the number that was unprecedented, but the nature, for he held five consulships in consecutive years between 104 BC and 100 BC, while the seventh he was to seize, as he had taken Rome itself, by armed force in 86 BC. To modern eyes there is a clear-cut division between politics and warfare, even going so far as to discard war as a pivotal factor within our understanding of society. But war defined ancient Rome, so much so that no social or political aspect was divorced from events on the battlefield. Rome’s expansion in the third and second centuries BC from an Italian city-state to the superpower of the Mediterranean world had been under its traditional form of government. Yet the overseas conquests led to a change in mentality among the ruling élite. In the ancient world, wars of conquest usually showed a handsome profit for the victor. The immense wealth brought into Rome by its conquests and the opportunities and temptations offered by its empire put intolerable strains on the political and social system that had been adequate for a small city-state. As a result senatorial solidarity, which had made Rome a superpower, gave way to individualism. Increasingly generals who had achieved stunning military successes began to act on the basis of self-interest, keen as they were to acquire great personal power. The repercussions of this are not hard to guess. Internal rivalries began to emerge, leading to a power struggle that was fought out during the first century BC. As we shall discover, Sulla and Marius, Pompey and Caesar, Marcus Antonius and Octavianus were to be the leading players in the civil wars of the dying Republic. Since the birth of the Republic the leadership of the government was firmly in the hands of the Senate, a governing body in which 300 members of the most prominent families served. Theoretically the Senate had no constitutional powers and its decrees, each known as a senatus consultum and passed on a majority vote, were not legally binding but merely advisory. It functioned, therefore, as a consilium or advisory council, advising the magistrates from its own ranks, with two annually elected consuls as the highest public officials who had equal power or imperium. Lesser magistrates were also appointed annually and in pairs, an expedient to allow them to veto each other and thereby prevent the concentration of power in one man’s hands and preserve Rome from the ambitions of would-be tyrants. This principle of collegiality was basic to the Roman constitution. Yet the power of the Senate was grounded in its permanence (membership was for life) and since the consuls were exclusively chosen from the senatorial families, the position of the Senate was strongly entrenched. Besides, it was a brave (or foolhardy) consul who chose to ignore the Senate’s decrees. Indeed, the consulships were almost exclusively held by an even smaller group within the senatorial order, namely the nobilitas, the consulate not merely conferring power upon its holder and dignity for life, but also ennobling his family forever. Little wonder, therefore, that the individual Roman aristocrat was under constant pressure, both of family duty and personal ambition, to emulate his ancestors by pursuing a public career and striving for the consulship. Although not all citizens could even dream of climbing up the slippery pole of a senatorial career, let alone actually attempt to do so, all citizens could cast their votes in three popular assemblies, the comitia tributa, or tribal assembly, the concilium plebis, or assembly of the plebs, and the comitia centuriata, or assembly of centuries. The democratic character of the three assemblies differed significantly. In the first two assemblies, voting was done by tribes, a fabulously ancient division founded not on kinship groups but on a regional basis. It was an electoral-college ‘one tribe, one vote’ system in which the vote of every citizen, rich or poor, counted equally. It was here that the junior magistrates were elected: the quaestors (supervisors of the state’s finances and records) and the aediles (responsible for public works and games). However, these assemblies were not entirely independent, since people’s voting habits were regularly influenced by patronage ties and senatorial intimidation. In the comitia centuriata the population was divided into five classes based on wealth. The wealthier citizens were in the first class and furnished the majority of the votes. In such a plutocratic system the election of praetors (responsible for the administration of justice and authorised to lead armies) and consuls (entrusted with general civil and military authority) was a matter for wealthy and well-descended Romans. In Rome’s distinctive polity of ‘mass’ and ‘élite’, it was the poor inhabitants of the ‘other Rome’ who formed the overwhelming majority, who played no role in this assembly and were thus deprived of any real political power. Optimates and populares alike were oligarchs drawn from the same exclusive group of wealthy and well-descended Romans, but they differed in the ways in which they played the complicated political system of the Republic. They were never organised into parties of a modern and parliamentary character; these are imaginary entities in the competitive arena of Roman politics. On the other hand, there was a tangible division of political approaches within the senatorial aristocracy, a partition that polarised their political methods and professed aims. The Romans were careful to build checks and balances into their unwritten constitution. With the establishment of the Republic, the kings had been replaced not by a single officer but by a pair of annually elected consuls, co-equal in power and authority. Tyranny was avoided because one consul could block the other. In a like manner, when the commons had wrested from the senatorial aristocracy the right to officers for their own protection, they grew in number until there were ten. Elected in the concilium plebis, the ten tribunes of the people (tribuni plebis) were sacrosanct (sacer) and had the right to veto (intercessio) the actions of other magistrates, including their fellow tribunes. They were even entitled to bring legislation directly before the people, without reference to the Senate, in the concilium plebis. A popularis, therefore, was an aristocratic populist who tended to bypass the Senate by enlisting the support of the tribunes and through them of the people at large. The optimates were the more ‘traditional’ senators, self-styled ‘good men’, the ‘best’, which is the strict meaning of the term optimates. They were explicitly hostile to change, to challenges to the Senate’s pre-eminence, to notions that matters of finance or senatorial privilege (and much else) could be taken directly to the popular assemblies and turned into legislation without any consultation, and prior approval, of the senators. In other words, these men were the defenders of the entrenched power of the Senate, and sticklers for the rules designed to uphold their dignity as senators and, most importantly, to ensure their conquering generals were prevented from using their armies to seize personal power. As our story unfolds it will become apparent that Pompey and Caesar were the penultimate pair in a succession of warlords who mobilised the Roman people as a means of winning and perpetuating political office. Yet in the struggle for power in the closing years of the Republic, it was Caesar who took risks that his political rivals, Pompey included, were afraid to take, and that was what made him so dangerous to them. The orator and politician Marcus Tullius Cicero, a contemporary of Caesar who will loom large later in this story, reckoned ‘there are two skills that can raise men to the highest level of dignitas [honour]: one is that of general, the second that of a good orator’. Yet it was service in the army rather than a career in the courts, Cicero continues, which conferred the greatest personal status. Cicero, a man not known for his military inclinations, appreciated the harsh reality that there was more glory to be won by extending the empire than by administering it. Moreover, succeeding in the arena of political life was an expensive business, but a foreign war offered unparalleled opportunities for winning glory and for enriching self and state, that is to say, the Roman people, at one and the same time. One of the bonds that held Roman society together was the relationship between client (cliens) and patron (patronus). This relationship came in a wide variety of forms and guises, but was always based on the mutual exchange of favours and benefits. Roman society was thus vertically structured in terms of obligation-relationships, called clientèle (clientela). At its crudest, a patronus offered protection to his clientes, who attended him and offered support and services in return. As the cliens of a privileged man might himself be the patronus of still less important men, clientelae could be mobilised as effective voting-machines. It takes little effort, therefore, for us to appreciate how much the patronus-cliens relationship could affect the workings of the Roman state. If a patronus were elected to political office his clientela could look forward to gaining some lucrative state contracts. The Romans saw nothing wrong or corrupt in a politician handing out state contracts to his clientes. It was simply how their political system worked. Marius belonged to the clientela of the patrician Caecilii Metelli, one of the most prestigious families in Rome at this time, whom some, most notably Publius Cornelius Scipio Aemilianus (cos. 147 BC, cos. II 134 BC), called stupid. Having risen past the Scipiones, who had held this position since the war with Hannibal, the Metelli had ‘prevailed by their mass and their numbers’. As early as 123 BC, when Marius became quaestor, this powerful family had taken a keen interest in his career, and it was the Metelli who helped him to gain a tribunate in 119 BC, when he was 38 years old. But he soon demonstrated that he was no flunky, successfully passing a plebiscite that allowed for the narrowing of the pons, the gangway across which each voter passed to fill in and deposit his ballot tablet. To vote in the comitia a man mounted one of several bridges and walked along it to a platform, where he dropped his vote in an urn. The voters, of course, were viewed by everyone – in particular the aristocrats – and Marius was concerned about their methods of persuasion. Little wonder, therefore, that the Metelli blocked his election to the aedileship, an office mainly concerned with public life at street level, two years later. The family intervened again when he stood for urban praetor for 115 BC, but this time they were unable to keep him out. Marius scraped in with the lowest number of votes possible, and as a consequence there were allegations of electoral bribery (ambitus). Whether this was a politically motivated prosecution, or one brought on merit, he prevailed at the trial, but only by the thinnest of margins. The number of votes for his guilt and innocence were equal, and he had to be given the benefit of the doubt. In 114 BC Marius went as propraetor to Iberia, where he served as governor of Hispania Ulterior for the next two years. There he proved his competence, campaigning successfully against bandits while adding to his personal fortune by establishing the Iberian silver mines on a sound footing. On returning to Rome he married Iulia, the aunt of Caesar, which was a real political coup as the Iulii were a patrician family of the highest order. At a very early stage of his political career Marius had shown himself to be an independent man, who gained a great deal of popularity for his challenges to the nobilitas. However, it would be his reputation as a soldier that would make his name. Marius was by nature a soldier, as much in his later life would show, and he began his long military career as a cavalry officer, serving with distinction under Scipio Aemilianus, the greatest Roman of his generation, in the Numantine War (134–132 BC). Oddly, a young African prince called Iugurtha was also serving under Scipio Aemilianus as the leader of a Numidian contingent, made up of horsemen mostly, always the strength of that nation, and the same troops who had done such useful service for Hannibal in Italy two generations earlier. Iugurtha was an illegitimate grandson of Masinissa, who, after coming over to Rome’s side during the closing stages of the war with Hannibal, had been awarded a kingdom. It was during the siege of Numantia that Iugurtha had earned Scipio Aemilianus’ approval for his soldierly qualities, but it also encouraged a Roman belief that their most dangerous opponents were men whom they themselves had taught how to fight. 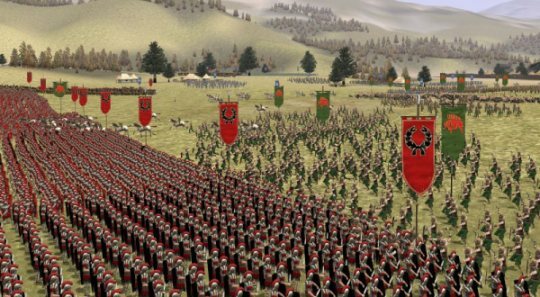 Anyhow, the two young cavalry commanders were probably well acquainted and, like the Numidian prince, Marius was to enhance his reputation there when he killed an enemy warrior in single combat – and in full view of Scipio Aemilianus. For a man of relatively humble origins it must have looked as if the future belonged to him, unless his rivals devoured him first. Marius went to Numidia in 109 BC as the senior legate under his patronus, the consul Quintus Caecilius Metellus, in the war against Iugurtha. This was the age of the Caecilii Metelli, who had held seven consulships in the last fifteen years. Obviously Marius had set himself right with the epoch-making house of the Metelli, whose sons became consuls by prerogative and were on the whole intransigent optimates, in the years following his provocative programme as a tribune. The political geography of north Africa at this time was essentially quadripartite. In 146 BC, following the destruction of Carthage by Scipio Aemilianus, Rome had annexed the Carthaginian territories, creating the province of Africa (provincia Africa, roughly co-extensive to eastern and central Tunisia). This left to the Numidian king Micipsa much of the land his father Masinissa had appropriated from the Carthaginians, as well as his own kingdom (western Tunisia and eastern Algeria). To the west, in Mauretania (western Algeria and northern Morocco), was found the kingdom of Bocchus. In a long band along the pre-desert lived the Gaetuli, a group of tribes who lay outside the two kingdoms of Numidia and Mauretania and resisted any attempts to tax or control them. In 118 BC Micipsa bequeathed his kingdom to his two legitimate sons Hiempsal and Adherbal, and also, following up an earlier recommendation of Scipio Aemilianus, to Iugurtha, the illegitimate son of his younger brother. Ambitious and unscrupulous, Iugurtha was to put to death first one then the other of his cousins, by which he made himself master of Numidia. A senatorial commission, headed by a disreputable gentleman by the name of Lucius Opimius (cos. 121 BC), had been sent to settle Numidian affairs after the murder of Hiempsal. The Roman historian Sallust, who was keen to illustrate the moral decline of Rome, implies the delegation fell under the spell of Iugurtha and thus prudently recommended that the kingdom be divided between him and Adherbal. Apparently Iugurtha had discovered in Iberia the venality of many of the Romans. Notwithstanding this settlement, four years later Iugurtha captured and sacked Adherbal’s royal capital, the hill-top fortress of Cirta (Constantine, Algeria). After he had treacherously murdered both his rival and the Italian traders who had shared the defence of Cirta, the Senate as a matter of course decided on war. In spite, according to Sallust, of Iugurtha’s lavish use of bribery, the senators were bent on punishing the Numidian king, and after two unsuccessful campaigns (111–110 BC) they dispatched the quixotic but capable Metellus against him. Metellus repeatedly defeated him, but found it impossible to bring Iugurtha to heel. Now holed up in the Tell Atlas, Iugurtha would only skirmish with the Roman forces or fight them on his own terms. 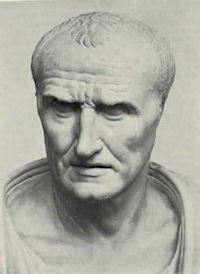 Though military incompetence was partly to blame, Sallust saw the constant failure to overcome Iugurtha as primarily down to the corruption of the senatorial aristocracy. It is interesting to note that he portrays the slippery Iugurtha both as the ‘noble savage’, immune against the corruption of Roman civilisation, and as the ‘ignoble barbarian’, a paradigm of ‘Punic’ perfidy. This entry was posted in Biography, Roman by MSW. Bookmark the permalink.